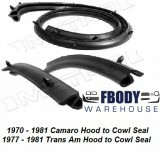 You 1979 1980 1981 Trans Am or Firebird’s weather seals are the only defense against rust and rot. Eliminate wind noise, water and rust, damage with our industry BEST weather seal kits. Buy and customize complete kits or simply buy the exact seals you need. 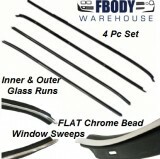 With Fbodywarehouse we have faith in our seals and have a no questions asked 15 year replacement warranty on our seal kits. Use the video library to see how exactly to install for a proper installation! 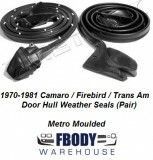 This is the trunk weather seal for use on all 1970 – 1981 Trans Am, Firebird, and Camaro models. Unit is produced by metro molding and offers a superior fit and function over other brands available on the market. Metro weather seals come with a 15 year replacement warranty so you can rest assumed the seal you install now will last for years to come! 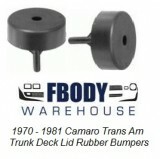 This unit fits all 1977-1981 Trans Am models with the factory shaker scoop. 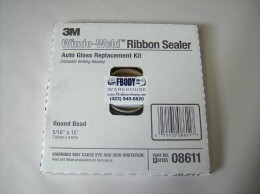 This replacement weather seal comes with all mounting hardware needed, and replaces your worn or missing seal. Includes a lay out template to ensure a very easy installation at home. See video below! 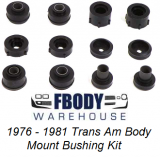 This is a full 1973 – 1981 Trans Am Bump Stop set. This is a Roll of 10' of Spoiler Welting for a 1974-1981 Trans Am. Set of 20 replacement 1977 - 1981 Trans Am Shaker Scoop Weather Seal Retainers. This is a front and rear 1967 - 1981 Camaro / Trans Am windshield sealer ribbon. This is a 36 pc screw kit used to mount the weather seal retainer channel onto the body of the 1970 - 1981 Camaro and Firebird /Trans Am. New replacement full screw kit for the hard top or t-top weather seal channel retainers for the roof top of your Classic Camaro Firebird TA. This too makes removing old weatherseals a breeze at home. Use this tool to slide along areas with factory seals and it will remove the seal and scrape the old glue off as well. Unit features a tapered edge to help and grab the weather seal.